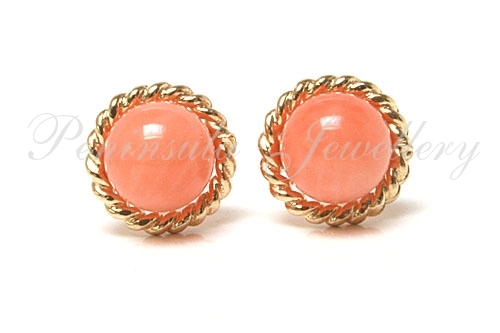 Featuring 5mm real coral beads securely set in 9ct gold with a rope edged surround. Outer diameter 7mm. Standard posts and backs in 9ct gold. Made in England. Presented in a luxury gift box – Great Gift! !